Texting is the most timely way to communicate with individuals and groups and therefore is a perfect way of communication to contact security employees when an certain event requires their presence. On many occasions, these workers don’t spend their day only in one space, so it will be perfect to be able to locate them anywhere sending them both SMS or MMS from any device. For them it is also very useful, because thanks to the creation of lists, they could send the same text message to groups of coworkers or to the whole company staff at the same time. Security is so time-sensitive and our employees are spread over multiple locations. Even in our larger facilities, it’s still challenging to reach everyone instantly. We know that our employees always have their mobile phones with them—and texting is the best way to reach them no matter where they are. So we’re a very happy MessagePro Office customer—we can instantly connect with individuals, groups, or the entire employee base. It really is an essential tool—not optional. 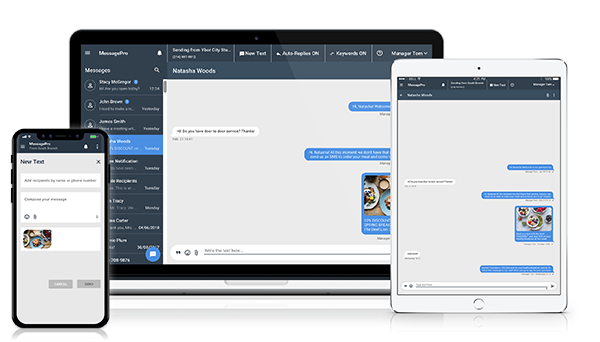 Want to Know More About MessagePro for Security? Let’s Talk!